Olive Garden does not offer a senior discount. It also doesn’t have an AARP discount. There are, however, other ways you can save money at Olive Garden. For more information on savings and specials at Olive Garden, see below. Is There an Olive Garden Senior Discount? Is There an Olive Garden AARP Discount? Olive Garden restaurants do not offer age-related discounts like senior discounts, a Darden Restaurants customer service representative said; Darden is Olive Garden’s parent company. The parent company also confirmed that Olive Garden does not have an AARP discount. AARP is a group dedicated to those over age 50; membership includes access to discounts on travel and entertainment, plus special offers at restaurants like Denny’s and Outback Steakhouse. Olive Garden restaurant workers at locations in California, Idaho, Michigan, New Jersey, and Texas verified that Olive Garden does not have a senior discount or an AARP discount. For joining Olive Garden’s eClub, you’ll receive a coupon for a free appetizer or dessert. All you need to do is provide a valid email address. EClub members will receive additional coupons and other promotional information via email. A new Olive Garden Rewards Program is currently available at select locations. To see if your local restaurant is among the first to participate, click on your state to see a list of participating locations. 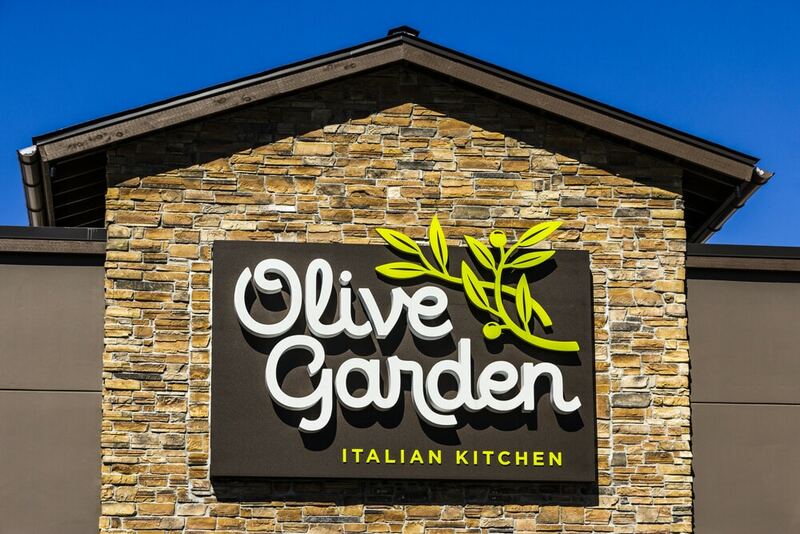 Olive Garden’s new rewards program will let you earn points for every dollar spent at Darden Family restaurants, including Bahama Breeze, LongHorn Steakhouse, and Yard House. Olive Garden does not offer a senior discount or an AARP discount. Other ways to save at Olive Garden include current lunch and dinner specials, daily drink specials, and rewards program benefits. For more on senior discounts, see our articles featuring Luby’s senior discount policy and KFC’s senior discount policy. Plus, see our article on where seniors can get a free or discounted cup of coffee.